VANDALS have ripped the plaque from a monument which commemorates victims of the Holocaust in Murcia City and scrawled far-right graffiti on it. Images of the memorial, on Calle Derechos Humanos, posted on social media showed the plaque gone last Friday. 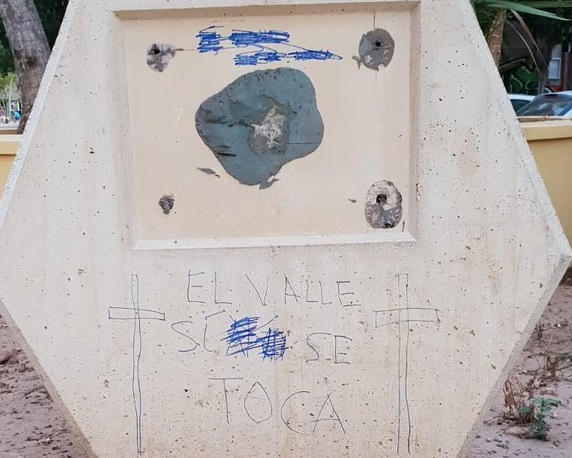 The picture, posted by the Cambiemos Murcia group, also showed the words ‘El Valle no se toca’ (The Valley is not touched) written between two crosses. The slogan is one used by supporters of former Spanish dictator Francisco Franco who oppose the removal of his remains from the Valley of the Fallen mausoleum. Plans to do so are currently being drawn up by the government in Madrid. The identity of the vandals remained unknown this week and they remained at large. Carlos Egio, a Cambiemos Murcia spokesperson, said the vandalism was a “serious” hate crime and fascist and Nazi gesture. “We find it regrettable that the plaque has been torn from the monument in homage to Murcians deported to Nazi extermination camps. “We are convinced this act of vandalism has been possible because of the precariousness of the monument which is made of very poor quality material,” Egio said. The Murcia City monument was erected in memory of people in the city who were deported to concentration camps in Nazi Germany during the Second World War. Franco agreed to round up Spanish Jews and others Third Reich leader Adolf Hitler wished to exterminate as part of his ‘Final Solution’. Spain’s Prime Minister Pedro Sanchez has continued to push for the exhumation of Franco’s remains from the Valley of the Fallen in the face of a rightist backlash. 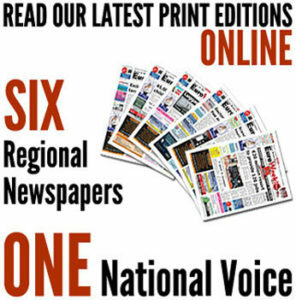 The former dictator’s family have also voiced opposition to the plans. Sanchez, of the left-leaning Partido Socialista (PSOE), said the move was necessary because no democracy should honour a dictator. Pablo Casado, the leader of the opposition conservative Partido Popular (PP), said the plans were a “smoke screen” designed to mask economic, immigration and security problems.